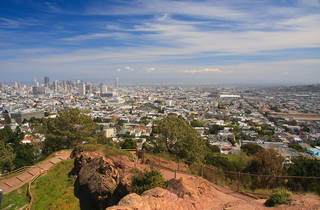 High above the Castro, Corona Heights Park offers some of the city’s best views from its craggy peak. In the early spring, the slopes here bloom in colorful displays of California poppies, Douglas iris and other native wildflowers. 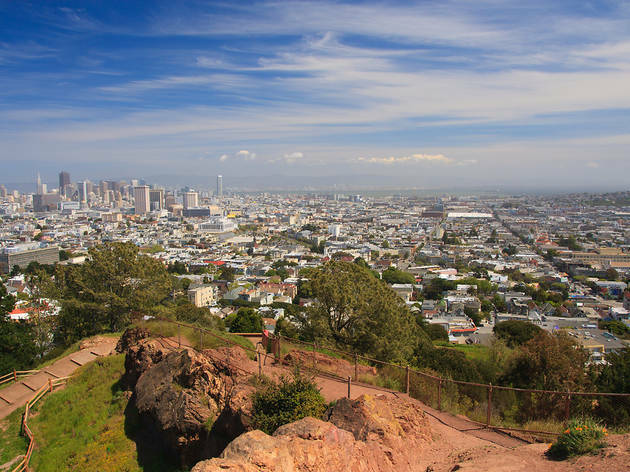 In the center of the park is a large, enclosed dog park, and, on the east side, the Randall Museum (which reopened in 2018 after a $9-million renovation) explores California’s natural history.